Christmas card time is here again, so I’m looking for some quick and easy ideas for cards. Here is one using a cheap and simple piece of patterned scrapbook paper. 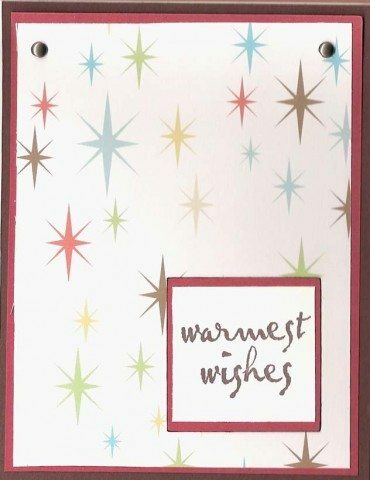 This card couldn’t be farther from fancy and sophisticated, but it’s easy and cheap. I actually love this paper, and the brown/red color combination. I love Stampin’ Up products and use them whenever I can. You can certainly use any other products to make this invitation. Just use the idea and make it your own!